So reads the introduction to the 1995 Historic Structures Survey, prepared for the U.S. Air Force just before the closing of the base. The significance of the Old Stone Barracks is further recognized by its listing on the National Register of Historic Places in 1971 and its most recent designation in 2014 as one of the Preservation League's Seven To Save. Built between 1838 and 1843 with massive stone walls, heavy timber framing, and a beautiful two story columned porch running the full length of the north facade, the building has a remarkably intact exterior. With views of Valcour Island, Cumberland Head, Grand Isle and the Green Mountains of Vermont, the building conveys the central role that military activities played in the history of the Champlain Valley. The Old Stone Barracks was originally built as a barracks for enlisted soldiers and adjacent to it was a similarly sized building for officers. The officers' quarters was demolished in 1964. In addition to the Barracks, also surviving today from this mid-19th century period, are a brick powder magazine, the post parade ground, and the nearby "Old Post Cemetery." These structures represent one of the last remaining examples of the first generation of permanent U.S. Army barracks in existence in the United States. As the oldest extant building on the Plattsburgh Base, the Old Stone Barracks conveys the importance this northern frontier post held during the first half of the nineteenth century, a period in which the United States was stabilizing politically and militarily in the wake of confrontations with Great Britain. The significance of the former barracks is reinforced by the fact that it contained a hospital, as well as mess rooms, sergeants' rooms and kitchens. 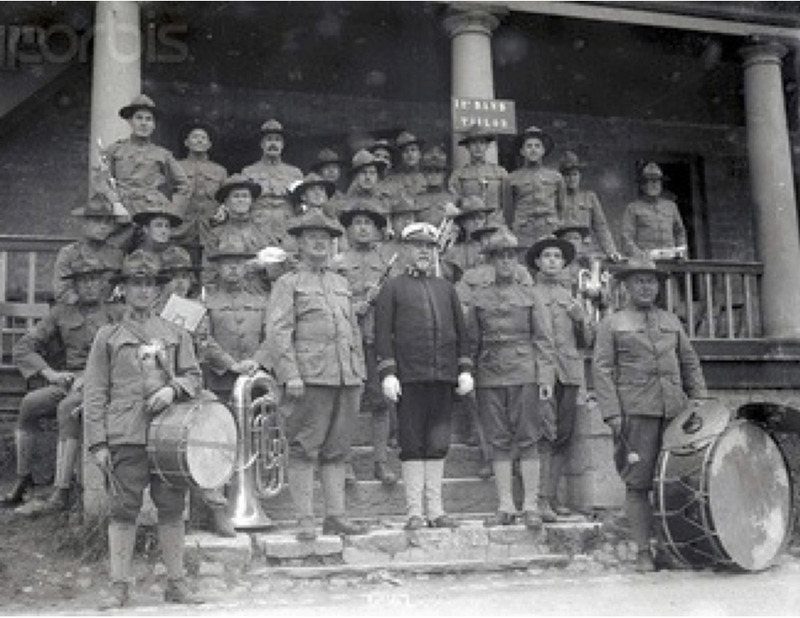 It housed military bands including one headed by John Phillips Souza and even a U.S. Naval squadron in 1944, a rehabilitation center and was home to Champlain College for returning veterans after WWII. Serving a variety of functions, it encapsulated a full spectrum of historic military life.